Did you know that 69 percent of digital marketers creating more content now than they did one year ago. And that 62 percent of business want to create more engaging, higher quality content. Delivering pitch perfect content to a receptive audience means serving up ice-cool information in a way that makes it easy to swallow. Get your measures wrong and the mix is a disaster. 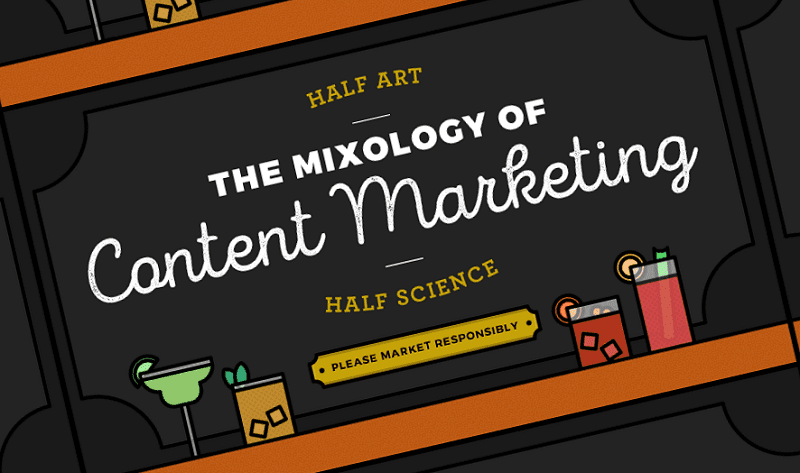 Take a look at below infographic and browse through the content cocktail menu and get creating the sort of content guaranteed to shake audiences up!